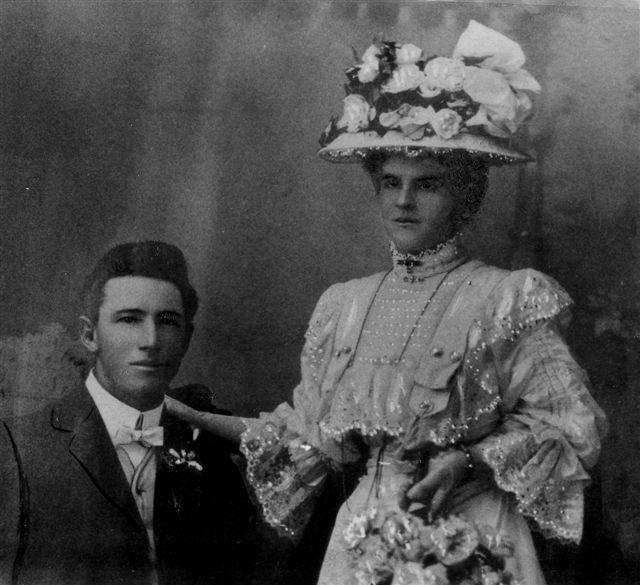 Marriage 17 June 1912 Ernest Henry was married to Lucy Margaret Jones on Monday, 17 June 1912 at Bundamba, QLD, AustraliaG. Marriage Ernest Henry was married to Myrtle Elsie Huggett. Death 29 August 1972 Ernest Henry Collett died on Tuesday, 29 August 1972 at Umina, NSW, AustraliaG, at age 89. Birth 10 April 1883 Oscar Herbert Collett was born on Tuesday, 10 April 1883. Death 10 March 1979 Oscar Herbert Collett died on Saturday, 10 March 1979 at age 95. Birth 1888 Lillian Ella Collett was born in 1888 at Young, NSW, AustraliaG. She was the daughter of Philip Collett and Mary Ann Edwards. Death 1945 Lillian Ella Collett died in 1945. Death 21 June 1921 Laura Beatrice Pearl Collett died on Tuesday, 21 June 1921 at Grenfell, NSW, AustraliaG. Burial June 1921 She was buried in June 1921 at Grenfell, NSWG. Birth 1894 Harold Edward James Collett was born in 1894 at Young, NSW, AustraliaG. Marriage Harold Edward James was married to Elizabeth Mary Fyffe. Death circa 1943 Harold Edward James Collett died circa 1943. Nickname Harold Edward James Collett was often called Harry. Marriage Ellen Catherine was married to Frank Cusack. Death 1982 Ellen Catherine Collett died in 1982 at Guildford, NSW, AustraliaG. Nickname Ellen Catherine Collett was often called Nellie. Married Name Her married name was Cusack. [S2] Index of BDM records, NSW BDM, Place of Registration: Goulburn; Year: 1917; Number: 7956. Birth Lucy Margaret Jones was born at Christchurch, New ZealandG. Marriage 17 June 1912 Lucy Margaret was married to Ernest Henry Collett, son of Philip Collett and Mary Ann Edwards, on Monday, 17 June 1912 at Bundamba, QLD, AustraliaG. Death 27 November 1927 Lucy Margaret Collett died on Sunday, 27 November 1927 at Bexley, NSW, AustraliaG. Married Name 1912 As of 17 June 1912, her married name was Collett. Birth 19 November 1886 Myrtle Elsie Huggett was born on Friday, 19 November 1886 at Warraway Station, Bourke, NSW, AustraliaG. Marriage Myrtle Elsie was married to Ernest Henry Collett, son of Philip Collett and Mary Ann Edwards. Death 5 September 1981 Myrtle Elsie Huggett died on Saturday, 5 September 1981 at Sydney, NSW, AustraliaG, at age 94. Married Name Her married name was Collett. Married Name 1908 As of 28 October 1908, her married name was Collett. Birth 1886 Henry Spencer Miles was born in 1886. Nickname Henry Spencer Miles was often called Harry. Birth 1887 Thomas Stein was born in 1887 at AustraliaG. Death 19 October 1962 Thomas Stein died on Friday, 19 October 1962 at AustraliaG. Burial October 1962 He was buried in October 1962 at Grenfell, NSW, AustraliaG. She was the daughter of William Weeks and Amy A Watman. Death 1 January 1984 Pearl Weeks died on Sunday, 1 January 1984 at Moss Vale, NSW, AustraliaG. [S2] Index of BDM records, NSW BDM, Place of Registration: Goulburn; Year of Registration: 1896; Registration Number: 12531. Marriage Elizabeth Mary was married to Harold Edward James Collett, son of Philip Collett and Mary Ann Edwards. Birth circa 1900 Alfred J Paine was born circa 1900. Name Variation Alfred J Paine was also known as Alfred Payne. Nickname Alfred J Paine was often called Alf. This spelling of his surname appears in the NSW BDM Index for his marriage entry. Marriage Frank was married to Ellen Catherine Collett, daughter of Philip Collett and Mary Ann Edwards. Death 1984 Frank Cusack died in 1984. Birth Charles Jarman was born. He was the son of Charles Jarman and Lucy Hannah Hammond Harvey. [S2] Index of BDM records, NSW BDM, Place of Registration: Petersham; Year: 1894; Number: 27523.